This rich and creamy recipe for spiced pumpkin chia pudding does triple duty as a delicious and healthy, guilt-and-gluten free breakfast pudding, after school snack, or dessert. Pumpkin is loaded with nutrients and this is a great way to get your kids to eat more plant nutrients if they're not fond of veggies. (It's also fun and easy to make for your budding cooks). If you’re not a coconut fan, use almond or hemp milk instead. 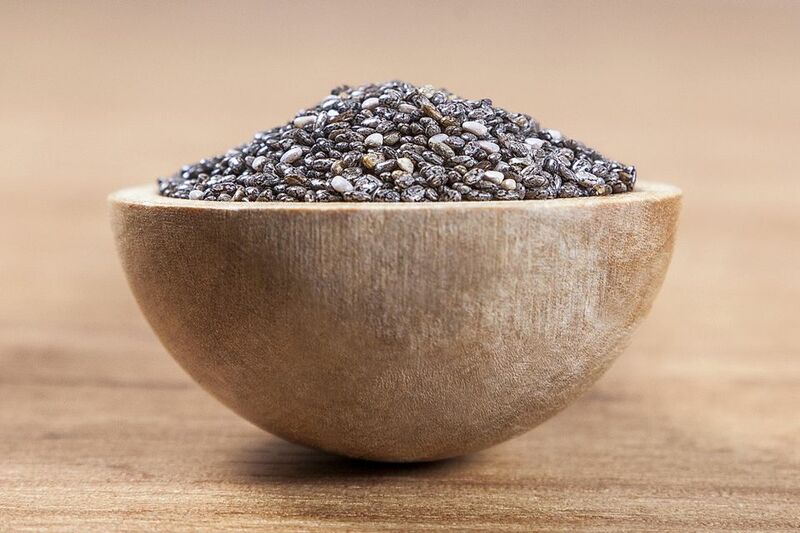 The tiny chia seed contains healthy fatty acids, fiber, calcium, potassium and magnesium. They were used by indigenous peoples for long treks, and many athletes consume them as endurance food. They range in color from a dark grey to white, and color has no impact on their nutritive value. The pudding is like getting your pumpkin pie on without any guilt. We also love this layered with Super Granola and hemp hearts; the latter lend a bit of crunch and chewiness to this pudding along with protein and unsaturated fatty acids. Combine the pumpkin puree, chia seeds, coconut milk, vanilla extract, cinnamon, ginger and coconut nectar thoroughly with a whisk or immersion blender. (Whisking will create something of a tapioca texture, while blending breaks the seeds and yields a slightly more uniform pudding texture). Pour the mixture into a bowl or lidded container, cover well and chill 8 hours or overnight. To serve: place a generous ½ cup of the pudding in each of 4 dessert glasses or bowls. Top the pudding with toasted sliced almonds and sprinkle with hemp hearts. **Chia seeds can vary some in their absorption; so if your pudding comes out too thick, just add a little more milk a tablespoon at a time until it reaches your preferred consistency. In the unlikely event that it’s too thin, just add another tablespoon of seeds and let the pudding sit for an hour. Variation: Add 11/2 tablespoons ground cacao nibs or finely chopped crystallized ginger to the pudding.